I love small businesses that pursue excellence, especially the ones who have humble beginnings and are dedicated to providing a solution for life’s challenges. First Light Home Care does this by providing quality care-giving services to families who have members needing assistance. Their services range from companion, personal care and dementia care, to respite and travel companionship. What I like about Sarah, the heart of FirstLight, is that she is humble, high achieving and seeks to benefit her clients. 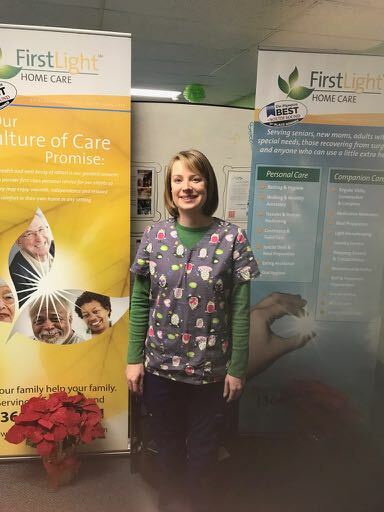 I highly recommend anyone looking for quality care givers to let FirstLight help.